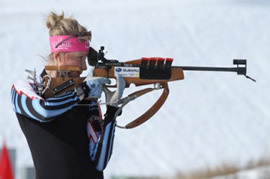 Biathlon Alberta has named 8 young men and women to represent Alberta at the 2011 Canada Winter Games, the largest multi-sport event for young athletes in Canada. First held in 1967 in Quebec City, the Canada Games are a key event in the development of Canada’s young athletes. 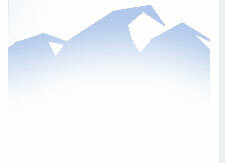 Qualifying races for Team Alberta were held December 8 and 9 in Canmore, and December 18 and 19 at Whistler Olympic Park. Selection trials for the Canadian team headed to the 2011 World Youth and Junior Championships were also at Whistler. Calgary athletes figure big in the final roster for Team Alberta, with athletes from Rocky Mountain Racers taking the majority of positions. The team, made up of U21 men and women, was rounded out with athletes from Canmore Nordic Ski Club and Edmonton Nordic Ski Club. The team will head to Halifax for the first week of the Games, where they will compete in Individual, Sprint, Pursuit and Relay events. 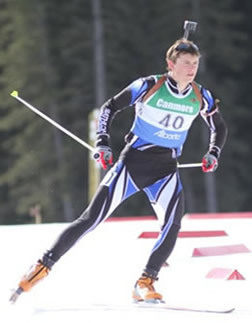 Leading the Men is Scott Gow of Calgary, a member of Canada’s National team currently in Europe on the IBU Circuit, where he placed 15th in his first competition at this level. Scott is a veteran of the World Youth and Junior Games, first competing in 2007. He will be joined by Aaron Gillmor of Calgary. Gow and Gillmor were part of the team that earned a silver medal in the Relay at the 2009 WJYCH held in Canmore, AB. Scott’s younger brother Christian Gow, who joined his brother at last year’s World Championships as a first-time member of the Youth Men’s team, and Stuart Harden of Calgary complete this exceptional team. The Women will be represented by Emma Lunder and Emma Lodge, both of Canmore, Danielle Vrielink of Calgary, and Jessica Paterson of St. Albert. Lunder competed as a Youth at last year's World Championships in Torsby, Sweden, while Lodge earned a gold medal in the Sprint at the 2010 National Championships.